Being a typical girly girl, I’m mad about my nails which explains why I take the time and effort to dress up my own nails during my free times! For someone who does her own nails, a manicure service is certainly a pampering session for me because I don’t have to sweat it down to every little fine detail! Just look at how beautiful my set of nails from Dollhouse are! I love the acrylic flowers coupled with the stripes and crystals, they look so dainty don’t they? Since my previous set of manicure was chipping, I decided it was high time I had my nails done! 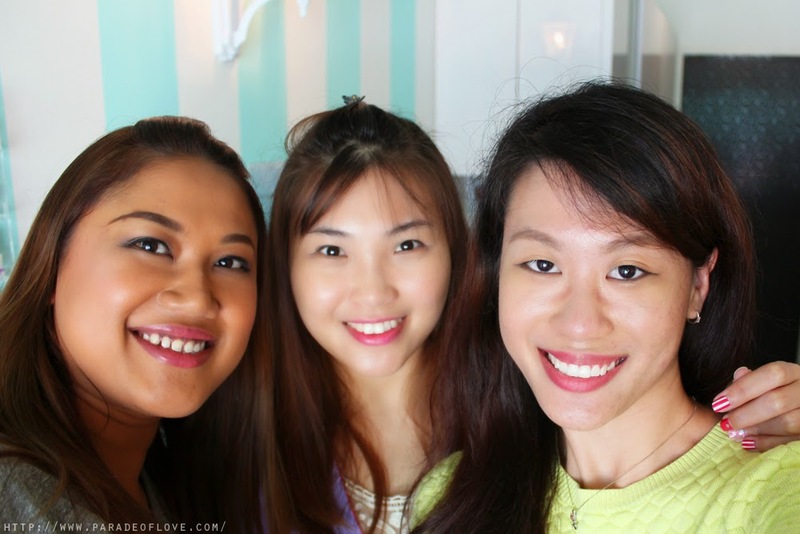 Big thanks to GetKlarity I was able to enjoy a lovely pampering session with dear Fifi and Joelle in the little cozy boutique with pastel turquoise furnishing! Because I wanted something fresh and sweet, I was racking my brains to think of a new nails design, something that I don’t mind staring at for a good couple of weeks. 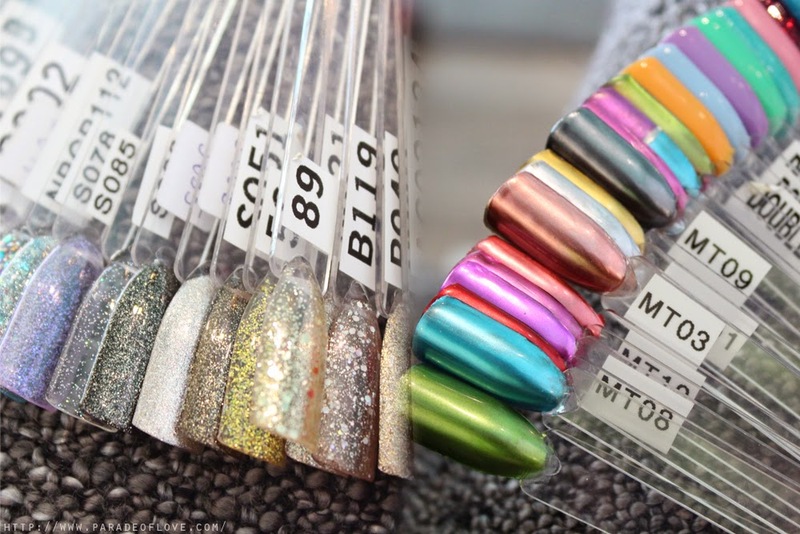 Kenie, my manicurist, decided to pass me a stack of sample nail art for me to sieve through. Every single design was so pretty that I had a hard time choosing! They even had an exquisite array of featured designs for the month that you can pick from! After dithering back and forth, I settled for the dainty and sweet set of nail art I picked from their iPad menu, replacing the original pastel turquoise with a lilac instead because purple is my favourite colour! Kenie then began filing and shaping my nails into a squarish shape, something that I’ve never tried while doing my own nails. I wanted gel nails for longevity since I was going to travel pretty much the entire December and I don’t want to pay much attention on maintaining my manicure. 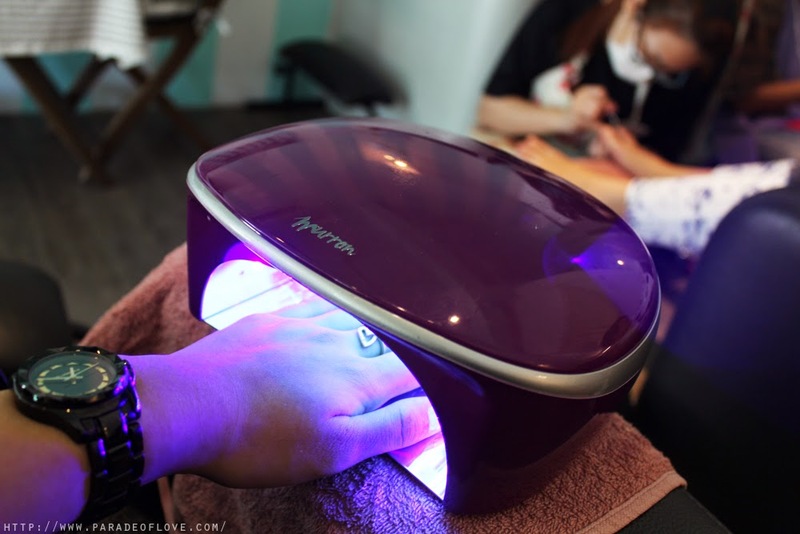 The first step to having a long-lasting set of gel nails is applying a bonder to the nails so as to chemically prepare the surface of the nail for better adhesion to the layers of gel polish. This was something new to me because I have never done gel nails before so it was partially a learning experience for me as well! The next few steps made me super impressed with Kenie’s skills. Seeing her work her magic around my nails certainly was an eye-opener! Such concentration and precision from her nimble fingers, especially on the stripes design! Time for the finishing touches – the acrylic flowers and crystals for the feminine oomph! I have always fancied such intricate floral details on other people’s nails but I never knew how they were made! How Kenie actually created the flowers truly amazed me! 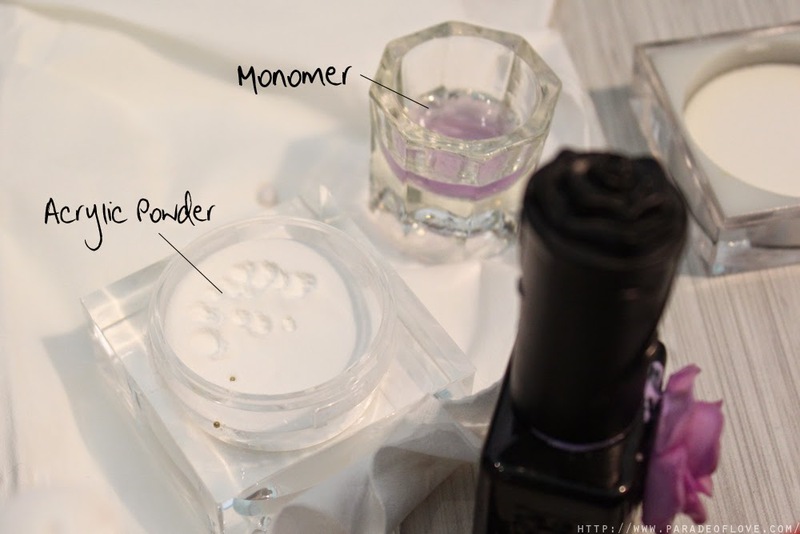 With her trusty paintbrush, she dipped it into the monomer before carefully and swiftly dipping the brush into the acrylic powder to pick up a tiny white ball of powder of polymers (due to some chemical reaction going on). Very quickly before the product dried, Kenie used the paintbrush to press and shape each and every petal of the flower, very meticulous with the details I would say. Yes we’re coming to the end! Just a finishing top coat to set everything in place after placing on the sparkly crystals! And… WE’RE DONE! Yay to pretty pretty nails! On close scrutiny, I realised this set of nails can be the perfect bridal nails with its soft hues and white flowers that symbolise purity. I also did a gel pedicure with a hot pink shade picked for me by Fifi and here’s a glimpse of my feet in a comfortable massage after some polishing and removing of dead skin cells. It was a good 2 hours spent and I couldn’t be more pleased with the results from Kenie’s hardwork! 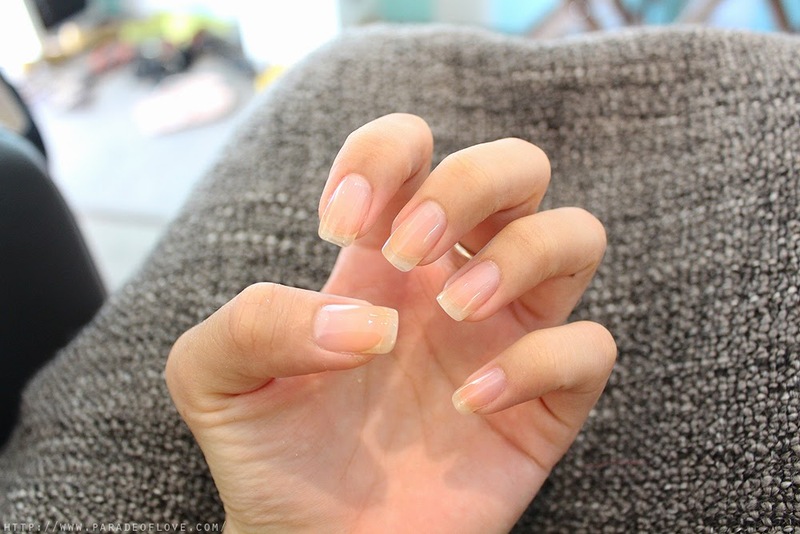 If you are looking for a good pampering session for your nails, Dollhouse is your place to visit!